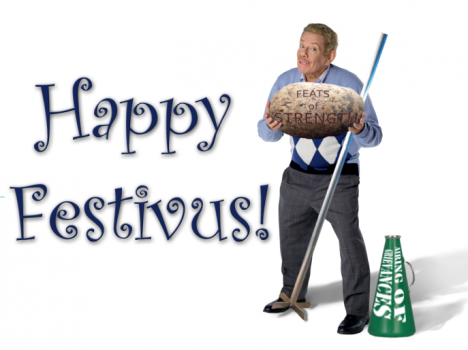 As some of you may know, today is the beginning of Festivus..."a festivus for the rest of us!". I think Mr. Costanza explains the holiday best. The "Feats of Strength" are so exhausting, but the "Airing of Grievances" helps balance things out.